Beyerdynamic Custom One Pro review | What Hi-Fi? When a product has ‘Pro’ in its name, it’s a fair bet that it’ll be a no-nonsense looker. And so it is with the Beyerdynamic Custom One Pro headphones. But you do have some say in the matter: the company sells interchangeable earcup covers, earpads and headbands for pepping up the look. The accessories don’t end there: there’s also an optional boom-mic for gamers, Skype users and those who want to look daft on the train. In the box, however, they’re basic in design. But for all their businesslike looks, they feel plush on your head. They aren’t the lightest pair of cans we’ve ever tested – they’re pleasingly solid, in fact – but they don’t feel heavy or insecure if you move your head about. The Custom One Pros sound rather as they look. It’s a measured presentation – very precise, very matter-of-fact. And they’re no worse off for that. The midrange and treble are detailed and exceptionally crisp, but don’t convey quite the level of texture and emotion we’d like – especially in vocal-led pieces such as Robert Plant and Alison Krauss’s Please Read the Letter. The Custom One Pros are agile and efficient. But with that, as we touched on with the vocal performance, comes a slight drop in engagement in the midrange and treble. Cymbals tend to fizz rather than shimmer, for instance. That’s not for want of detail – there’s a reasonable amount of that – but we’d just like a little more fun. Sliders on each ear-cup let you alter the sound. They affect the bass most; the extremes are either too full-bodied or too lean, but we found a sweet spot in the middle where the whole frequency knits together nicely. 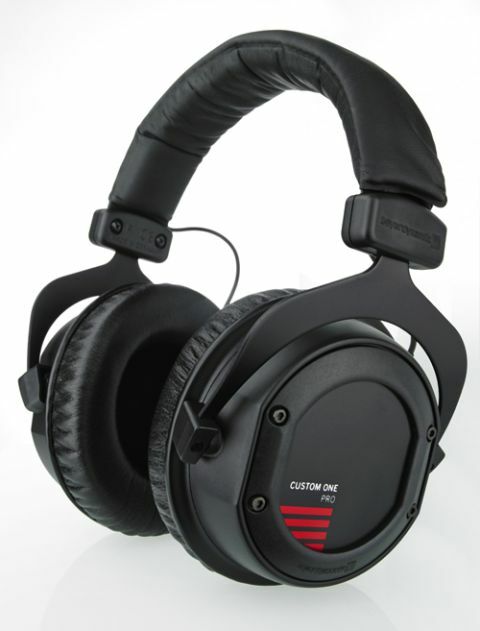 We like the Beyerdynamic Custom One Pros. They’re accomplished and easy to listen to – but more pizzazz and emotion would tip the balance further in their favour.